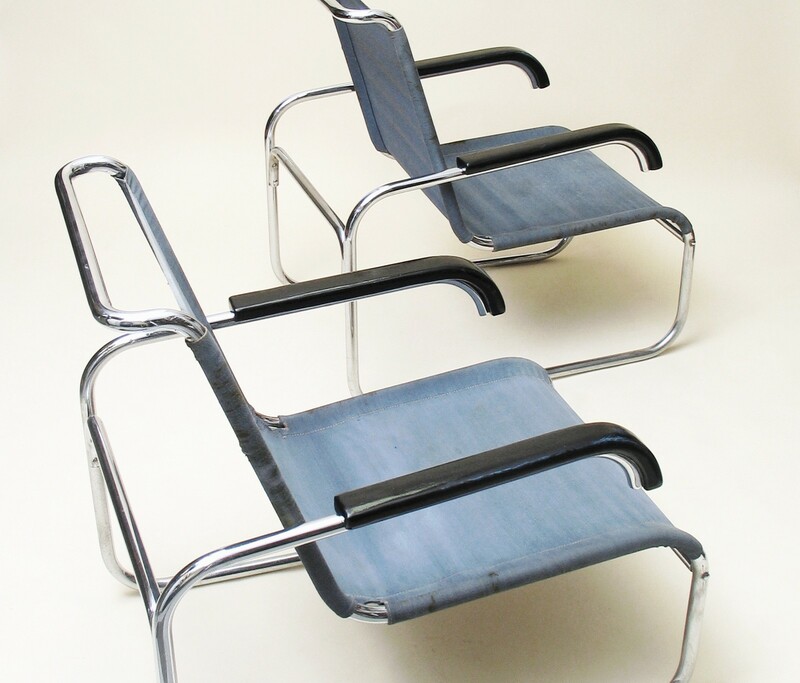 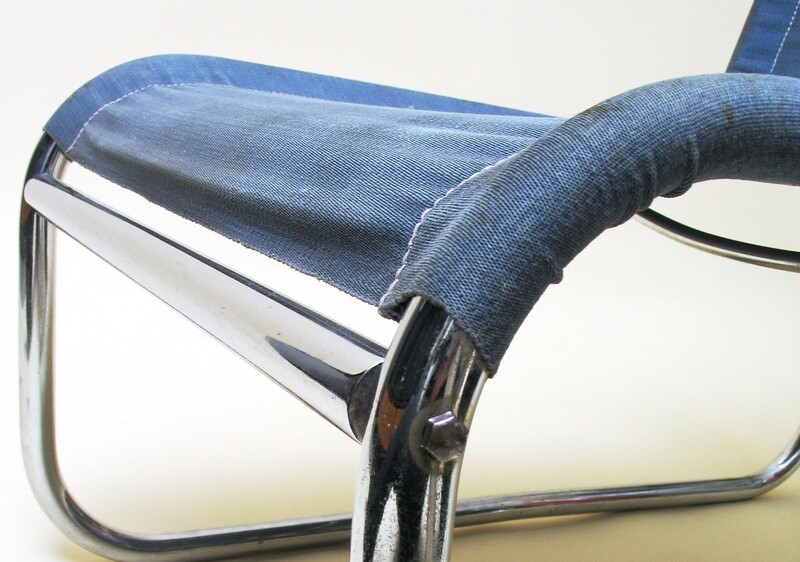 Chrome-plated tubular steel frames with black lacquered wooden armrests, original light blue “Eisengarn” upholstery. 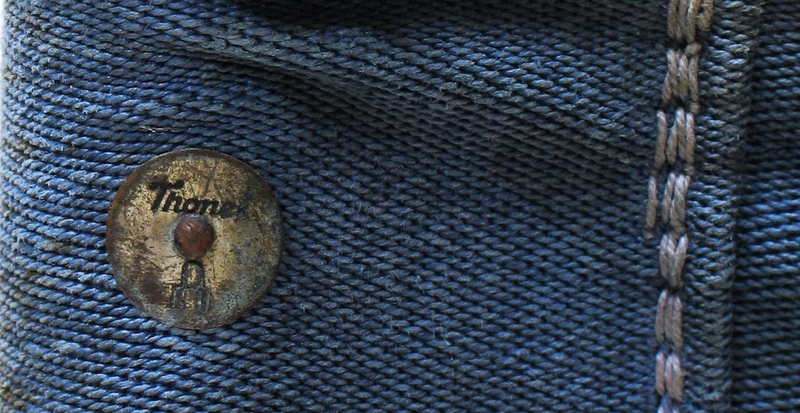 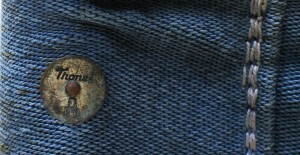 Frames marked with a small metal brand-shield. 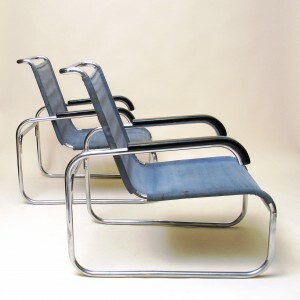 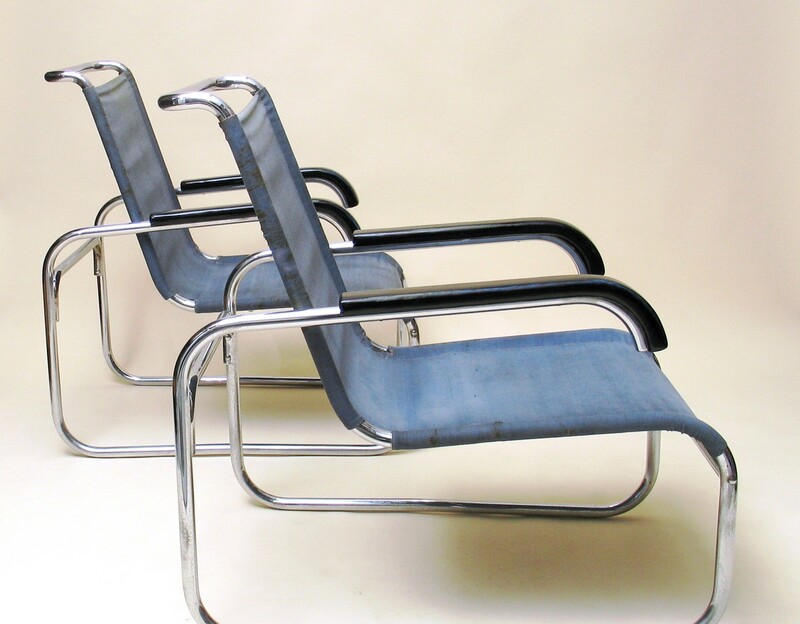 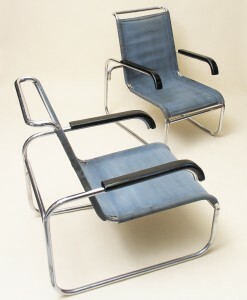 A very rare set of easy chairs especially because of their upholstery consisting of so-called Eisengarn in the primary colour bleu, in good original condition and the small metal Thonet shields mounted on the frames. 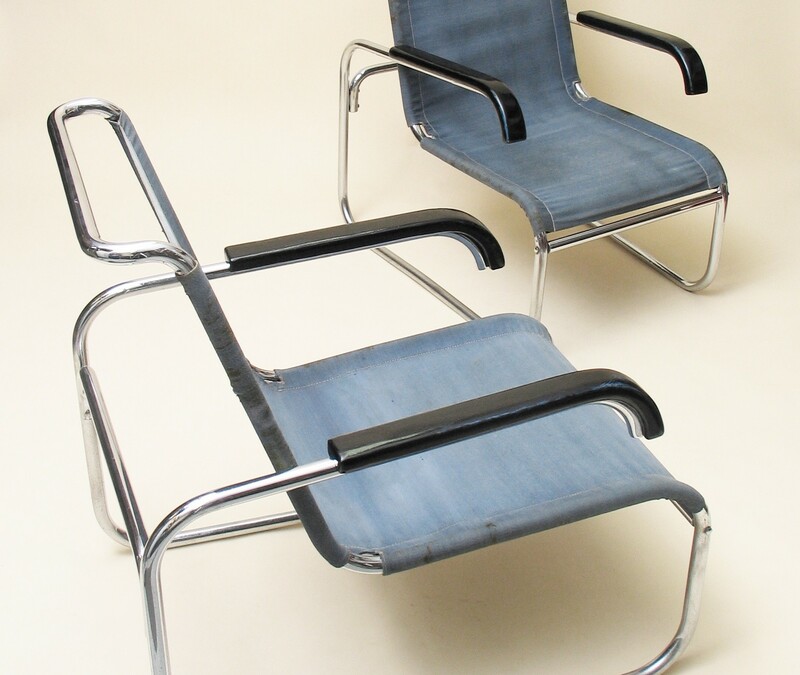 One year after the introduction of this model in the Thonet catalogue these chairs were bought in the Amsterdam department of Thonet by a Dutch family who lived in the south of the Netherlands. 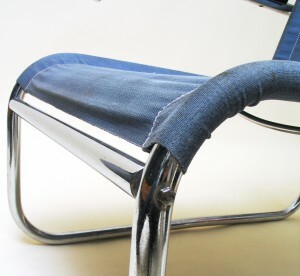 The original invoice of this purchase still remains with the chairs providing us with absolute certainty about the age and origin of the chairs.